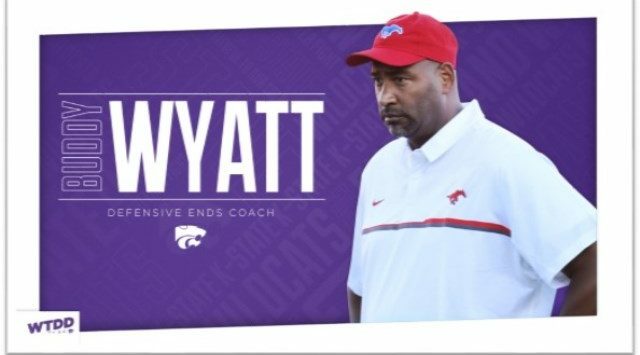 MANHATTAN, Kan. – A 27-year coaching veteran with multiple stops in the Big 12 in addition to stints in the SEC, Big Ten and AAC, Buddy Wyatt has been hired to coach the Kansas State defensive ends, head coach Chris Klieman announced Friday. Wyatt replaces Blake Seiler, who was hired as the linebackers coach at West Virginia on Tuesday. Wyatt comes to Manhattan after initially being hired for the 2019 season at Appalachian State. His previous full-time assistant coaching job was tutoring the SMU defensive line from 2015 to 2017 under then-Mustang defensive coordinator and now K-State cornerbacks coach Van Malone. SMU’s defense was stout with Wyatt’s help as the 2016 Mustangs were statistically one of the 10 most improved in college football. Wyatt coached a pair of all-conference players in three years at SMU, headlined by defensive end Justin Lawler, who tallied 9.5 sacks and 15.5 tackles for loss in 2017 as the Mustangs qualified for their first bowl appearance in five seasons. Wyatt’s tenure in Manhattan will be his seventh tour of duty in the Big 12 having coached at Oklahoma State (1996), Colorado (1999), Texas A&M (2000-02, 2008-09), Nebraska (2007) and Kansas (2010-14). During his second stint with the Aggies – one in which he also worked with Malone – Wyatt helped the Aggies rank 15th in the country with 35 sacks and 34th nationally with 82 tackles for loss. The group was headlined by a Wyatt protégé in defensive end/linebacker Von Miller, who had 17.0 sacks that season. Miller, a two-time All-American, went on to become an NFL All-Pro player and MVP of Super Bowl 50. In addition to Miller, Wyatt also has worked with NFL players such as Ndamukong Suh (five-time Pro Bowl selection who was the No. 2 pick in the 2010 NFL Draft), Michael Bennett (three-time Pro Bowl selection and Super Bowl champion), Jamal Williams (three-time All-Pro player), Adam Carriker (first-round draft pick in 2007), Tyler Brayton (first-round pick in 2003), Rocky Bernard (Super Bowl champion), Ty Warren (2007 All-Pro performer and two-time Super Bowl champion), Justin Bannon, Ronald Edwards and Ronald Flemons. Helping teams advance to eight bowls during his career, Wyatt has also worked at a pair of Big Ten schools in Minnesota (1992-95) and Northwestern (1997-98), in addition to SEC school Alabama (2003-06). A native of Victoria, Texas, Wyatt was a defensive lineman at TCU from 1986 to 1989. 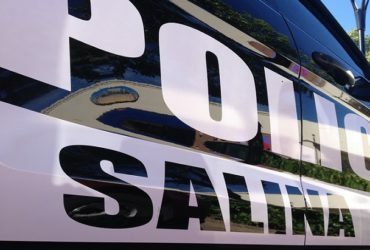 He earned his bachelor’s degree in education from TCU in 1990 and began his coaching career as a graduate assistant for the Horned Frogs working with the defensive line in 1991. Wyatt and his wife, Andrea, have two children, Fredrick and Ariel.